ملاحظه هامه بخصوص برنامج الخدمه هذا الأسبوع. حضره صاحب النيافه الانبا يوسف اسقف بوليفيا سوف يشرفنا بالزيارهً يوم الخميس اول نوفمبر ، و لذلك سوف ينقل قداس يوم الاربعاء و اجتماع أسره البركه الى يوم الخميس فى نفس الموعد لأخذ بركه سيدنا. لا تغيير بخصوص قداس يوم الجمعه الذى سيكون فى موعده كالمعتاد. 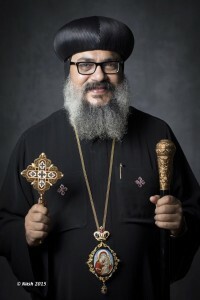 H. G. Bishop Anba Youssef of Bolivia will bless our church with a visit this Thursday, 1st of November. Wednesday Liturgy and the Seniors meeting will be moved from Wednesday to Thursday in the same time, to allow everyone to receive the blessings of Saydna. There is no change for the Friday Liturgy. Our beloved Mrs. Julia Hanna has departed to heaven. Mrs. Hanna is the wife of late Mr. Alfat Hanna, mother of our brothers Nader Hanna, Amgad Hanna, and our sister Hala Hanna. She is the Grand mother of David, Tarek and Bishoy Hanna. Mrs. Hanna is the sister of Mrs. Isabel Shokry, and the aunt of Atef, Tarek and Samia Wasfy. 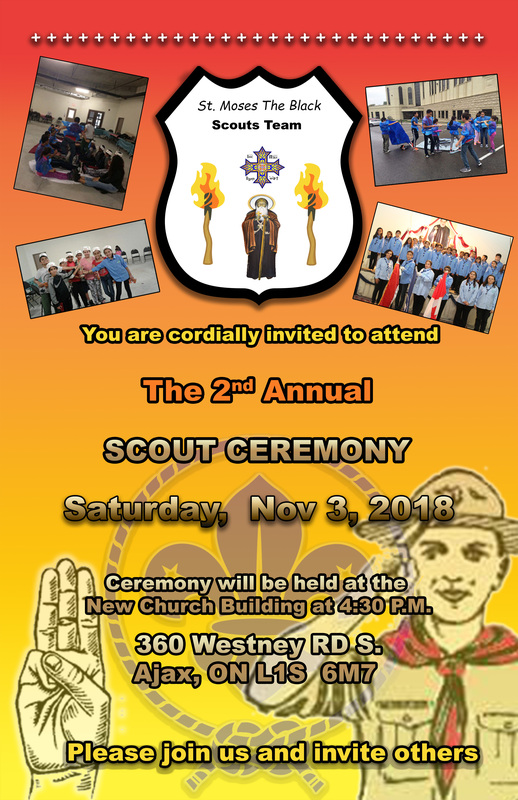 360 Westney Road South, Ajax, ON, L1S 6N7. May the Lord repose her soul in the heavenly Paradise of Joy, and fill the hearts of the family with the comfort of the Holy Spirit. لا يوجد قداس يوم الجمعه ٢٤ اغسطس. عشيه يوم السبت ٢٥ اغسطس تبدأ قبل موعدها المعتاد فى الساعه الخامسة مساء، قبل موعد الاحتفال السنوى بعيد السيده العذراء الذى يبدأ مباشره بعد العشيه. كل عام و انتم بخير ، بركه السيده العذراء امنا تشملنا جميعا. A change in the schedule of the weekly church service. 1. There is NO Liturgy this Friday August 24. 2. On Saturday August 25, the Vespers prayer will start early @ 5:00 PM. 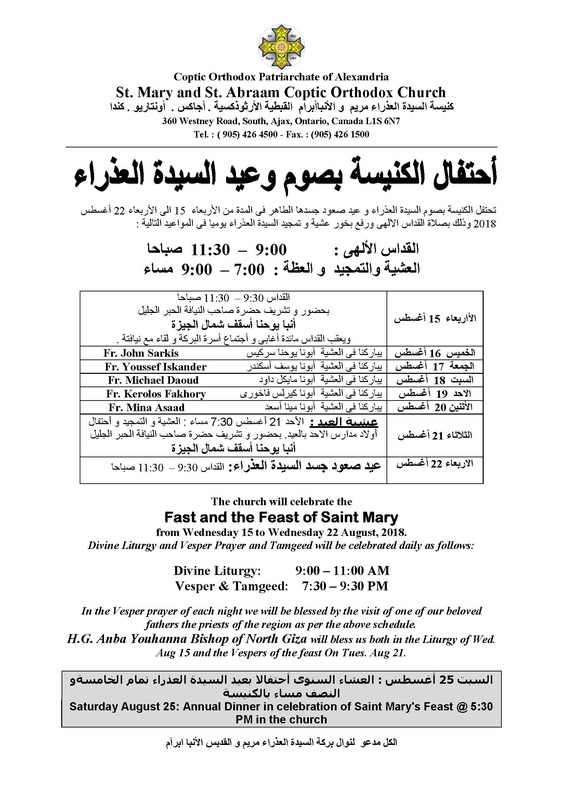 The Annual celebration of Saint Mary’s feast will start after the Vespers prayer. May the blessings of Saint Mary be always with us all. Please note that the Friday Mass will be held from 9 am - 11 am to accomodate the Summer Camp schedule. The 2 Fridays that will be affected are Friday, July 20th and Friday, July 27th.